As an entrepreneur at heart, I majored in Business Management, planning to have a business of my own someday. Now, thirty years later, I’ve had a number of small businesses, experienced both downturns and boom cycles, and have learned a lot about marketing along the way. As to being an entrepreneur, I wouldn’t have it any other way. Owning your own business puts you in charge, allowing you to make important decisions and do what you want to do. It also gives you the opportunity to connect with other people and provide them with a product or service that helps meet their needs. If you do that well, and make the right decisions, you will be rewarded with success. Owning your own business can have a few downsides too, and successfully marketing it can be one of the biggest challenges. There is certainly financial risk, because if your business doesn’t do well, you probably don’t have a steady paycheck coming in. At the other end of the spectrum, you might have a lot of work and be reluctant to hire others to share the load. I’ve experienced both of these. If you’re facing either of these challenges, Shuksan Web, our web design and internet marketing business can help. Part of my goal in starting Shuksan Web was to share what I’ve learned so I can help other small businesses become successful too. But first, I’d like to share a little of my history. In 1991, my wife Mary and I started our first business together, Remington Appraisals, a Minnesota corporation. We launched a marketing campaign during the refinance craze of the 1990’s, focused on excellent customer service, and soon had more business than we could handle. As the internet started to grow, we designed and redesigned our website, got listed in online directories, hired a few employees, and worked way too many hours, doing too much of the work ourselves. 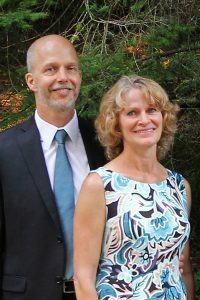 After 13 years of hard work, we decided to follow a dream, sell our business and start a new Remington Appraisals in Bellingham, Washington, between the North Cascades and the San Juan Islands, a wonderful place to live. This time we were starting a business during a slower market, and we weren’t familiar with real estate in the area. Getting business would be more challenging this time around. We launched another marketing campaign, knowing that our financial survival depended on its success. We built new websites, promoted our business on the internet, and made face-to-face sales calls. Gradually we established a good relationship with some of the larger lenders in town, along with getting internet work from out of town lenders doing loans in our area. Our new appraisal business was up and running. During our free time we explored the mountains and islands of the area, seeking out serenity and beauty. Through a series of events, we also discovered the transformational benefits of meditation, finding some of the same serenity that we found in nature. It became my goal, to learn more about meditation, develop new techniques, and to share what I learned with others. I took classes, read books, and started to develop my own techniques. To share these with others, I started with a website then a blog. People new to meditation really could use an instructional guidebook, with easy steps to dramatically improve their lives. 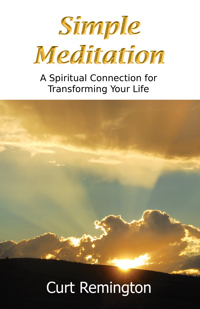 So, I began writing Simple Meditation: A Spiritual Connection for Transforming Your Life and finished the book two years later. The real estate market slowed, allowing me time to further my marketing education, so I could better promote my book and meditation. I studied web design, programming languages, graphic design, social media marketing, and public speaking. You can probably guess why I need meditation. Using what I learned, I built multiple websites, spoke at events, and did a lot of social media marketing. Simple Meditation has been a steady seller. More importantly, it has impacted many people’s lives. In the process of all that marketing for my book, I found it’s something I’m good at and really enjoy doing. One of our daughters (Rachel) enjoys marketing and website building too. While working on a computer science degree at WWU, she decided to spend a summer working with us, helping to build and refine our websites and help with our appraisal business. She has enjoyed working with us so much that she still is. 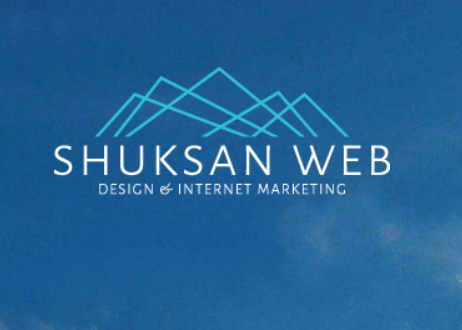 Together, we agreed to start Shuksan Web and build websites for others. She ended up switching from computer science to design, which seemed more appropriate for our web design business. 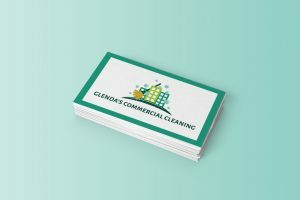 Rachel is very pleasant to work with too, is creative, artistic, and contributes a great deal to our business. In my experience, small business success depends on a number of factors, but one of the most important ones is the ability to build relationships and continue these relationships by providing great customer service. Connect with the people you know and remind them you’re in business. You can do this by phone or through social media channels. Get involved in local organizations, like Toastmasters, Kiwanis, Rotary, or your local chamber of commerce. Continue building new relationships through your marketing efforts. Have a search engine optimized website, so people can find you. Provide great customer service with your client’s interests in mind. By using marketing tools like a well-designed website, internet marketing, and at least a little hard work, my business endeavors have been successful. Using some of these same tools, we can work together to help make your business a success too. If you’re anxious to get started on a new project, give us a call or send us a message to discuss your project ideas.